South Adelaide suffered a heart-breaking one-point loss to Woodville-West Torrens at Maughan Thiem Hyundai Oval on Saturday afternoon. 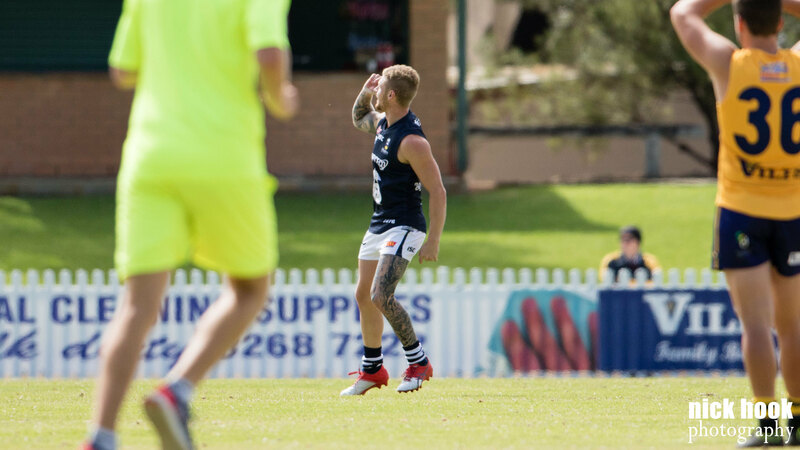 The Panthers were in control for much of the match, but after Eagles forward Ethan Haylock goaled in the final minute of the game, South were condemned to a 6.7 (43) to 6.8 (44) defeat. South Adelaide seized control of the game early thanks to a strong defensive game plan that restricted the Eagles ball movement. Thanks to their manic pressure in defence, the Panthers were able to hit Woodville-West Torrens on the counter attack with a slingshot game style that saw them move the ball through the middle of the ground with ease. However, the Eagles defence was equally strong early and goals proved hard to come by for either side. By quartertime a single major score to Sam Overall separated the sides. Get groovy with us at our 2017 Major Fundraiser, the Panthers Disco! In the second term, South Adelaide's manic defensive pressure began to show dividends and an electric running goal from Matt Rankine and calmly slotted set shots from Ben Haren and Xavier Gotch helped the visitors push the lead to 18 points at halftime. Dual Magarey Medallist Joel Cross (32 possessions and seven marks) and vice-captain Matt Rose (23 touches, six tackles and six inside 50s) were outstanding. Bullish and ferocious at the ball, the pair helped the Panthers establish dominance through the middle of the ground and convert the excellent work of their back six into rare scoring opportunities up forward. The hosts, who lost classy onballer Jared Petrenko and forward Michael Wundke in the opening and closing stages of the match respectively, returned from the break a much improved side. The Panthers would be left to rue some easy misses in front of goal, eventually losing the penultimate term 1.4 to 2.3, with a goal scrapped from the line by Rigby Barnes in the final minute saving the visitors from a goalless term. Big Wundke worked his way into the game in the final stanza, capitalising on an uncharacteristic mistake from Cross and some swift ball movement to kick 2.1 before an ankle injury forced him to the sidelines. After South ruckman roved his own tap and snapped true in the 15th minute mark it seemed the Panthers were almost home with a 11-point lead. Wundke's second four mintues later set up a tense close to the match, before Haylock's goal in the 29th minute of the longest term of the game took the wind out of South's sails. Triple Knuckey Cup winner Nick Liddle also continued his impressive 2017 campaign, gathering 23 disposals and laying seven tackles. Meanwhile, Joseph Sinor (27 touches and six tackles) Jake Johansen (25 possessions and five marks) and Matthew Goldsworthy (21 disposals and six marks) were the main instigators for Woodville-West Torrens. The Panthers will look to snap a three-game losing streak next Sunday, June 18 from 2:40pm at Hickinbotham Oval against Norwood. South Adelaide's Reserves claimed an emphatic 65-point victory over Woodville-West Torrens at Maughan Thiem Hyundai Oval on Saturday afternoon. The Panthers restricted the Eagles to just three behinds after the fifth minute of the second quarter to register a 14.13 (97) to 4.8 (32) win. Trailing by two goals at halftime, South bounced back in the third quarter in striking fashion, kicking 7.4 to no score in the third and 12.8 to 0.3 in the second half. Best afield for the Panthers was Matt Raitt, who stuffed the stat sheet with 21 possessions, seven marks, nine tackles and a goal. Young defender Jordan Taylor (28 touches, nine marks and five tackles) continued his impressive start to the season, while Tom Fields made a successful return from injury with 30 disposals, 11 marks, six tackles and a goal. Pleasingly, juniors Henry Bruce (21 touches, eight marks and a goal) and Hayden Sampson (two goals) more than held their own in their second senior game, while Liam Fitt kicked two goals in his first game up from the U18s. Speedy forward Connor Fairlie was also prolific, gathering 30 possessions, claiming 10 marks and booting two goals. 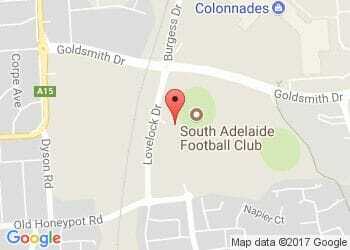 The Reserves are next in action against Norwood from 11:55am, Sunday June 18 at Hickinbotham Oval. 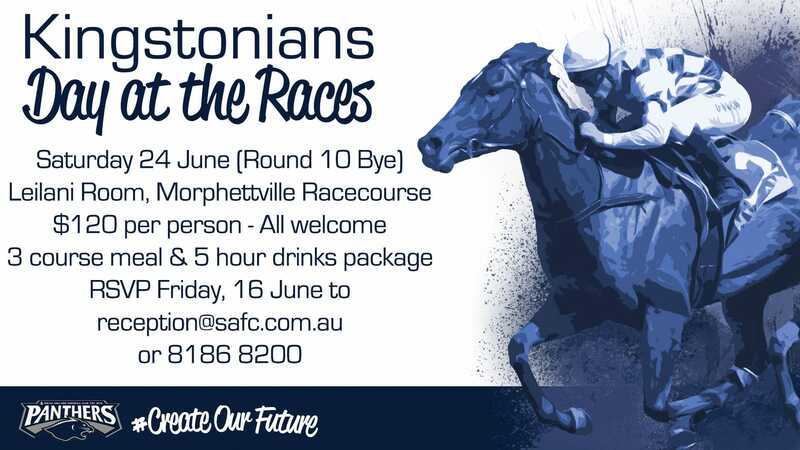 Join us during the bye for a 'Day at the Races'!